My experience of working with a design agency to create my new website for Boxbird, and my top tips to consider before embarking on your own website project! So you may have noticed that at the end of 2016 we launched our fancy new website! I’ll be honest with you, it’s been much needed for a long time, and any of you who used our old site will remember our simple yet very clunky 8 year old website well! So 2016 was the year, it was time to revamp Boxbird.co.uk, bring it to life with new branding, better display of images, and a far more user friendly approach to online shopping. But where do you start?! I was very lucky to know a wonderful web developer, Stephen Elford, who infact built my original site as one of his first website builds! I think he felt quite a lot of nostalgia for my site so he jumped at the chance to work on my new one and bring it out of the dark ages! I tried a few designers but nothing quite clicked, or was way out of my budget! 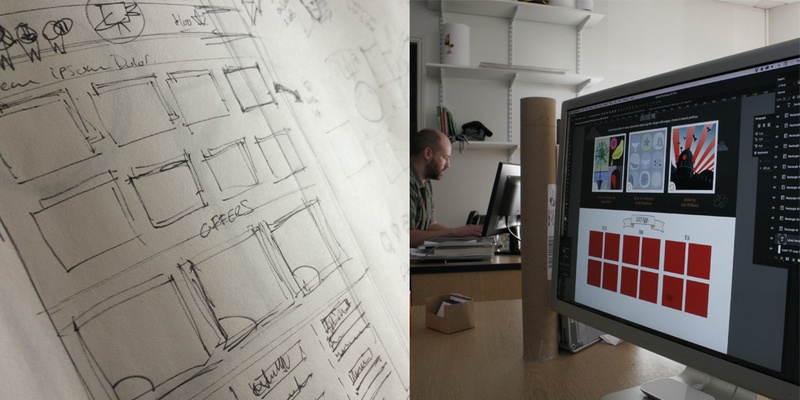 But when Steve started working with design agency Nexus everything came together. He introduced me to in-house designer James, who had some great ideas and understood where I was coming from with my brief and so I gave them the job! Must still reflect my personality and not feel corporate in any way. Should have elements of Graham Carters illustrations. Must not look like any of my competitors websites! Contains a customer area where they can save and share wish lists, track orders and choose a fun illustrated avatar. A new blog for features on everything from Boxbird news to Industry news. And on top of this James & Steve bought a million more things to the table for me to consider. I think this is where working with a team of professionals really comes into its own, they had ideas and advice about how to display social feeds, comments sections, how to display & organize blog features, privacy policies, terms and conditions, the checkout system and many other small details which as a web building novice I had no clue about! A few weeks after our initial meeting (pub lunch and a pint of course!) I received the first concept d6esign ideas from James. It was so exciting to see my rambling ideas bought to life and he had hit the nail on the head! Of course there were a few tweaks, additions and changes needed but what a relief to see something that fulfilled my vision! Because I wanted Boxbird to retain its personality I asked Graham Carter nicely to design our logo, and also all the website avatars. Although I know James would have done a great job of this I really wanted it to have Grahams touch as it’s important that it retained our personality. So when you create a customer account you can choose an avatar designed by him, and we will be adding new ones constantly! The customer account area was really important to me, I really wanted customers to feel connected to the site, so they (you!) could make it their own and keep track of their favorite pieces and artists too. I hope you like it – do let me know what you think and what your favorite avatar is!! Another new addition to the site is the Boxbird Blog! I have always wanted Boxbird to have a proper blog and finally we do. This will feature news about Boxbird and our artists and also industry news, illustration inspiration and commercial projects that interest us. The Nexus team had really great ideas on how to lay this out and the best way to use the comments section too which was all new to me! The website needed new copy, new larger images for every piece and a whole heap of my time! I warn you working with a design agency doesn’t take everything off your plate – be prepared to put in some hard work too!!! My experience working with an agency for the first time, although a little daunting at the start was an amazingly positive experience. The guys at Nexus were always happy to answer my questions, discuss options, and from the start of the process really listened to what I wanted. 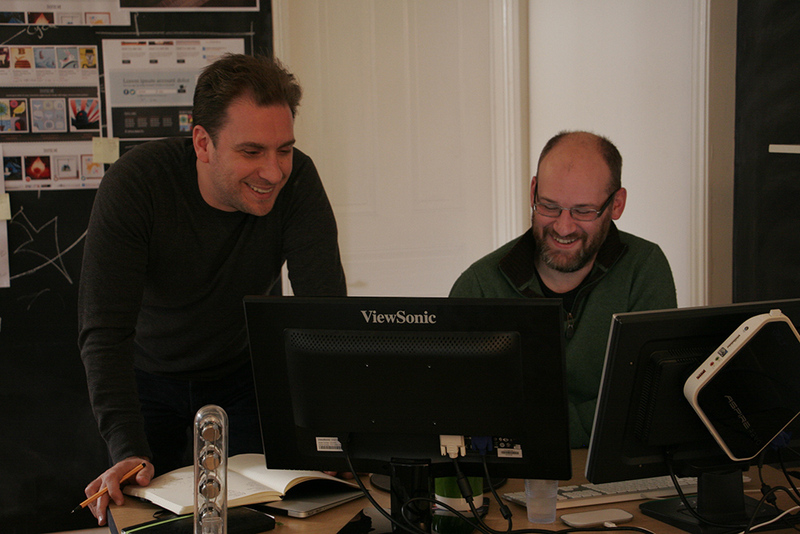 You know that you have found the right design agency if they tick all those boxes! And if you can’t find one that does, then drop Nexus a line!! And designing and building your own website is amazing, having a website that works exactly how you want it to, no compromises on style or function is extraordinary! I can’t recommend taking the leap, finding the cash and doing it too! So to clarify, the designer designs the look of the site, the branding the fonts etc. The developer is the person who codes and builds all of the site – it’s a phenomenal task! Don’t just go with someone because the price is right, go with someone who gets your vision and you feel confidant will get it right first time or you will end up with a second rate website site that doesn’t do want you want and end up costing you more time, energy and money in the long run. Ill warn you it’s not a fast process re branding, designing and then building a website, and the more changes you make along the way the more it costs you in the designer or web developers time. So be clear right from the start about what you want or a quote for £2,000 can soon become £6,000 if you keep changing your mind or adding new functions throughout the process - and also take 10 months instead of 3 months! Making changes on a custom built website is not a simple flick of a switch it takes time, and complicated coding! Take your time at the beginning to write a really comprehensive list of all the features, technical elements and design features you want on your website. Ask the agency for a list of all the other things you need to consider too – as they will have thought of a lot more than you! Answer all these questions, lay out all your requirements from the start and this will ensure your website is delivered on time & in budget. There will be parts of your website that the designers simply cannot do. You will need to write copy for sections of your website, supply images, terms & conditions etc etc. If your agency can give you a concise list right at the beginning of the process for you to work though, this will save so much time. Confirm the sizes and resolutions of images, maximum word counts, all the technical side of things and you can get cracking on that while they are designing & building! Ask your agency or designer lots of questions – don’t assume anything because that might cause a few problems down the line and delay the finished project. You are not a website building professional and it’s ok to have no idea what they are talking about sometimes – ask!!! What’s awesome about building a new website is that there are millions out there to draw inspiration from. Visit as many as you can and make a list of the features you like & dislike about them. Save the addresses and use this when you are briefing your agency. This will really help them understand how you want your website to work and look. And if you want your website to do something that others don’t then tell them, because all developers love a good challenge to write some new and unique code for their projects! This is the background of your website, this is where you will go to update copy on your site. It’s important that this has all the features you think you will need. If you are running an e-commerce site then make sure that the report system for orders works how you want, that you can change postage when required and change products at the click of a mouse button. The CMS options are pretty much endless, again just make sure you consider it all right at the start! Yes every website has a personality, you should know what you are getting the second you hit a home page in my opinion! From the images you show to the fonts you choose, make it your own whether its super minimal or busy and buzzing! There will be parts of your website that the designers simply cannot do. You will need to write copy for sections of your website, supply images etc etc. If your agency can give you a concise list right at the beginning of the process for you to work though this will save so much time. Confirm the sizes and resolutions of images, maximum word counts, all the technical side of things and you can get cracking on that while they are designing & building! I hope these help you on your website designing adventure! Do have a good look through Boxbird.co.uk and tell me what you think in the comments section below! And I would like to take this opportunity to say a big thank you to all the team at Nexus, but particularly to Steve & James for all their hard work bringing Boxbird back from the ashes!